Robe hooks and coat hooks, including Galaxy Rods, are perfect for any room in your house. Robe hooks and coat hooks are not just for clothes in your closet. 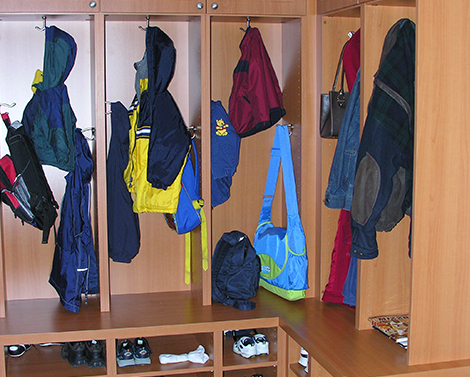 You can hang jackets, hats, umbrellas, backpacks skates, and more in mudrooms and entryways. You can also use robe hooks and coat hooks to organize towels in your bathroom or laundry room. Beyond Storage robe hooks and coat hooks are easy to install and make hanging everyday items convenient. Our designers will work with you to find the perfect robe hooks and coat hooks for your hanging needs.